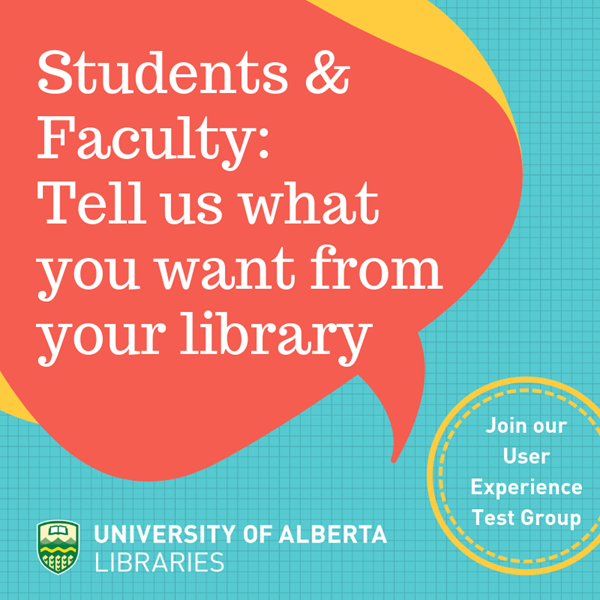 Seeking feedback from our users and running user testing exercises are important elements of the Libraries' process when it comes to developing and refining our many services. To help us with this work we are gathering a group of potential volunteers that we may call upon when we need feedback. We're looking for volunteers from across the entire University community. Please fill in the form below and we'll be in touch with you when we have a project for which we need your feedback. If we call on you for either feedback or user testing that requires any significant investment of your time we will compensate you for your time with a gift certificate. We are giving away a double guest, full weekend pass to the Edmonton Expo. All you have to do is come to the Cameron Library service desk and fill out a ballot. You only have 3 days to enter! Contest opens on Monday Sept. 17, 2018 at 9AM. Contest closes on Wednesday Sept. 19 at 9PM. 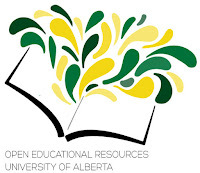 Our thanks to Edmonton Expo for their generous donation to Science Literacy Week! 1. 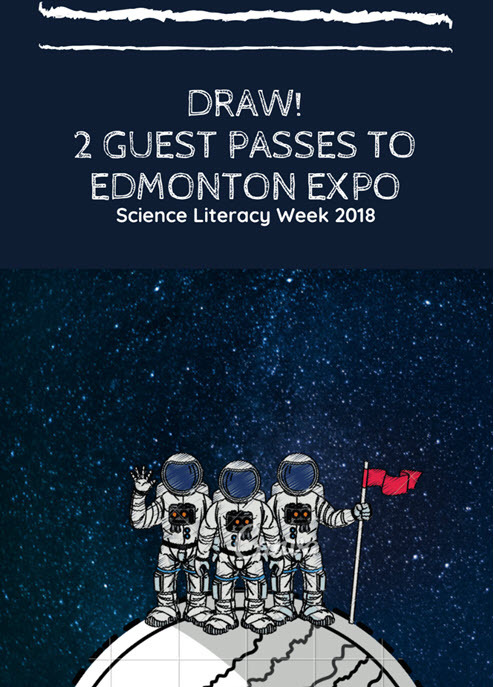 PRIZE DRAWS: The Science Literacy Week 2018 Contest (the “Draw”) is sponsored by The Edmonton Expo, conducted by The Governors of the University of Alberta (the “University”) and administered on behalf of the University by University of Alberta Libraries (the “UAL”). The Draw is open to all residents of Canada (excluding Quebec residents) as set out in these Official Rules. 2. ELIGIBILITY: To be eligible for the Draw (an "Eligible Entrant"), you must be eighteen (18) years of age or older. You are not eligible for the Draw if you are a resident of Quebec. Also, you are not eligible if you are a staff member or an employee of UAL, including a member of the immediate family (defined as mother, father, brother, sisters, sons, daughters and husband or wife, regardless of where they reside) or household of any of the above persons, their respective affiliates, agents, licensors, associates, or representatives. All decisions regarding eligibility to enter the Draw will be determined by the University in its sole discretion. The Draw is void where prohibited by law. 3. NUMBER, APPROXIMATE VALUE OF PRIZES AND CHANCES OF WINNING: There is one (1) prize ("Prize") available to be won in the Draw. The Prize is described in paragraph 9 below. The chances of winning the Prize will depend on the number of Eligible Entrants received in accordance with these Official Rules by the Draw Closing Time as defined in paragraph 4 below. 4. DRAW SCHEDULE: The Draw commences on Monday, September 17, 2018 at 9:00 a.m. (Edmonton Time) and closes on Wednesday, September 19, 2018 at 9:00 p.m. (Edmonton Time) (the “Draw Closing Time”). 5. HOW TO ENTER: No purchase is necessary to enter the Draw. 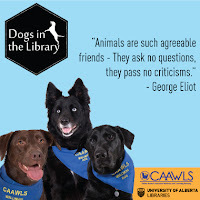 To be entered into the Draw, Eligible Entrants need to go to the Cameron Library Service Desk to fill out an entry form with their name and email address (“Entry Form”) and deposit it into the draw box, located in at the Cameron Library Service Desk. Each Eligible Entrant is only able to enter the Draw once. 6. 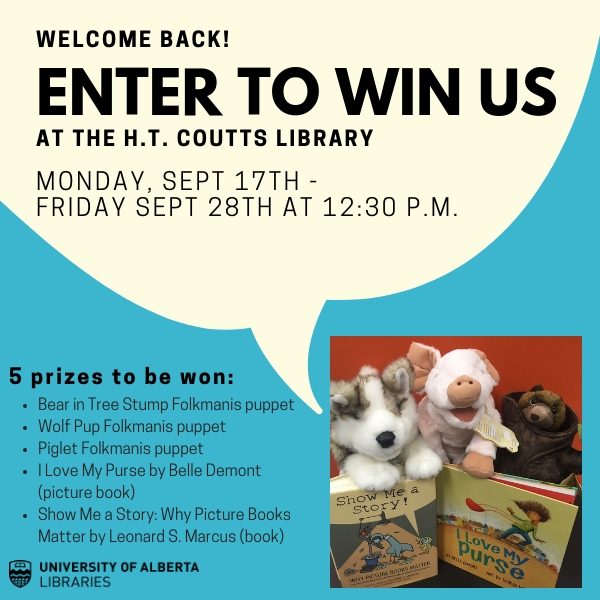 DRAW DETAILS: The draw from eligible Entry Forms will take place on Thursday, September 20, 2018 at 8:00 a.m. (Edmonton time), at the Cameron Library Service Desk. The Eligible Entrant who is chosen by random draw (“Selected Entrant”) and has complied with these Official Rules will be the winner of the Prize (“Winner”). If necessary, should the Prize be unclaimed, or should the Selected Entrant be unwilling, unable or ineligible to win the Prize as set out in these Official Rules, the Prize will be forfeited and the University shall have the right to select, as replacements only, an additional individual as a Selected Entrant. The Selected Entrant, if any, who is drawn as a replacement will be contacted by the University. All determinations of the Selected Entrant and the Winner by the University is final and binding. No communication with the Eligible Entrants will be entered into except with the Selected Entrant. All matters related to the Draw and the verification of the eligibility of the Selected Entrant to be declared the Winner shall be conducted by the University, or by persons designated by the University in its sole and absolute discretion. All decisions made by the University in this regard are final and binding and cannot be challenged. 7. NOTIFICATION: The University will contact the Selected Entrant via email on Thursday, September 20, 2018 at 9:00 a.m. (Edmonton Time). The Selected Entrant must respond by Thursday, September 20, 2018 at 12:00 p.m. (Edmonton Time), at which time they will be asked the skill testing question to obtain their Prize. 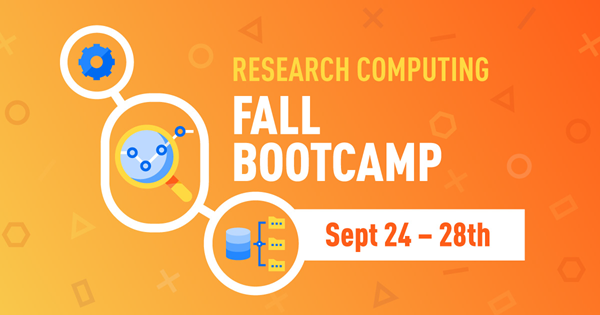 If the Selected Entrant does not respond or complete the skill testing question by Thursday, September 20, 2018 at 12:00 p.m. (Edmonton Time), the Prize will be forfeited and the University will draw, as replacements only, an additional Selected Entrant. Once this verification takes place, the Selected Entrant will be declared the Winner. The Prize is to be picked up by the Winner at UAL, in Cameron Library, Edmonton, Alberta. 9. PRIZES: There is one (1) Prize in the Draw, being two (2) three-day passes for the Edmonton Expo. The approximate value of the Prize is $140.00 (CDN). 10. SKILL TESTING QUESTION: To win the Prize, the Selected Entrant must correctly answer unaided, the mathematical, time-limited, skill-testing question as follows: 60 multiplied by 4 divided by 6 minus 15 =_____ prior to being declared the Winner. 11. DRAW MODIFICATION OR CANCELLATION: The University reserves the right, without prior notice and at any time, to terminate a Draw, in whole or in part, or modify, suspend or extend the Draw in any way, if it determines, in its sole discretion, that a Draw is impaired or corrupted or that fraud or technical problems, failures or malfunctions (including without limitation, computer viruses, glitches or printing or production errors) have destroyed or severely undermined the proper conduct, integrity, and/or feasibility of a Draw. In the event the University is prevented from continuing with a Draw as contemplated herein by any event beyond its control, including but not limited to fire, flood, natural or manmade epidemic or health or other means, earthquake, explosion, labour dispute or strike, act of God or public enemy, riot or civil disturbance, terrorist threat or activity, war or any federal, provincial or local government law, order, or regulation, public health crisis, the order of any court or jurisdiction, or by any other cause not reasonably within the University’s control (each a “Force Majeure” event), then subject to any governmental approval which may be required, the University shall have the right to modify, suspend, extend or terminate a Draw. 14. RELEASE AND INDEMNIFICATION: By entering the Draw, each participant: (a) releases and agrees to hold the University, its respective directors, officers, employees and agents harmless from and against any and all costs, injuries, losses or damages of any kind, including, without limitation, bodily injury and property damage, or any other damage or loss, due in whole or in part, directly or indirectly, to participation in this Draw, any Draw related activity, or from acceptance, possession, use or misuse of the Prize or participation in any Prize related activity; and (b) agrees to fully indemnify the University and its respective directors, officers, employees and agents from any and all claims on the part of any third party or parties related in any way and for any reason to the Draw or to the Prize, including, without limitation, death, and personal or property damage or injury. 15. LIMITATION OF LIABILITY: The University assumes no responsibility or liability for incorrect, damaged, illegible, incomplete, mutilated, spoiled, destroyed, stolen, misplaced, lost, late, misdirected or incomplete Entry Ballots, which may be judged void, any notifications, responses, replies, or for any computer, telephone, hardware, software or technical malfunctions that may occur. The University assumes no responsibility for any theft or destruction or unauthorized access to, or alteration of, Entry Ballots. The University is not responsible for any injury or damage to participants in the Draws. 16. PUBLICITY RELEASE: By entering the Draw, each participant who submits an Entry Form, hereby agrees and grants to the University, without further compensation, the unrestricted rights, but not the obligation, to use the entirety of the Entry Form, as set out in these official rules and otherwise, and to use his/her name, picture, portrait, likeness, voice, along with his/her address (City and Province) and any statements made by or attributed to such Eligible Entrants, or other individuals associated with an Entry Form, in any and all media, now known or hereafter devised, without notice, review or approval, in perpetuity and throughout the universe, for educational, advertising and promotional purposes in connection with the Draw, and any other promotions and programs, without further notice or compensation and hereby releases the University from any liability with respect thereto. 17. OFFICIAL RULES AND LAWS: These are the official Draw rules (the “Official Rules”). This Draw is governed by and construed and enforced in accordance with the laws of the Province of Alberta and federal laws of Canada applicable therein and the parties hereby attorn to the jurisdiction of the courts of the Province of Alberta. These Official Rules are subject to change without notice in order to comply with any applicable federal, provincial and municipal laws or the policy of any other entity having jurisdiction over the University. These Official Rules, as amended from time to time, will be posted on the website at: http://ualbertalibrarynews.blogspot.com/. 18. CONSTRUCTION: The invalidity or unenforceability of any provision of these Official Rules shall not affect the validity or enforceability of any other provision. In the event that any provision is determined to be invalid or otherwise unenforceable or illegal, these Official Rules shall otherwise remain in effect and be construed in accordance with their terms as if the invalid or illegal provision were not contained in these Official Rules. Headings and captions are used in these Official Rules solely for ease of reference, and shall not be deemed to affect in any manner the meaning or intent of these Official Rules or any provision hereof. These Official Rules cannot be modified or amended in any way except in writing by a duly authorized representative of the University. Employees of the University are not authorized to modify, amend or waive these Official Rules. 19. PRIVACY: The personal information requested pursuant to these Official Rules is collected, used and disclosed under the authority of the Alberta Freedom of Information and Protection of Privacy Act and will be protected in accordance with Part 2 of that Act. It will be collected, used and disclosed for the purpose of administration of the Draw. Direct any questions about this collection, use or disclosure to: Laura Hamonic at 780-492-7919. Please join us for one of these hands-on training sessions provided by the Springer Materials product manager from Springer Nature. All three sessions are scheduled for one hour, with an additional 30 minutes for Q&A. All sessions will be held in CAB 341, and registration is open now through the Libraries' Upcoming Workshops calendar. 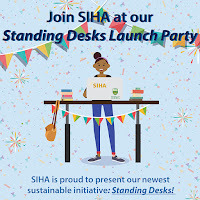 Make your voice heard in the Libraries and make a difference on campus! 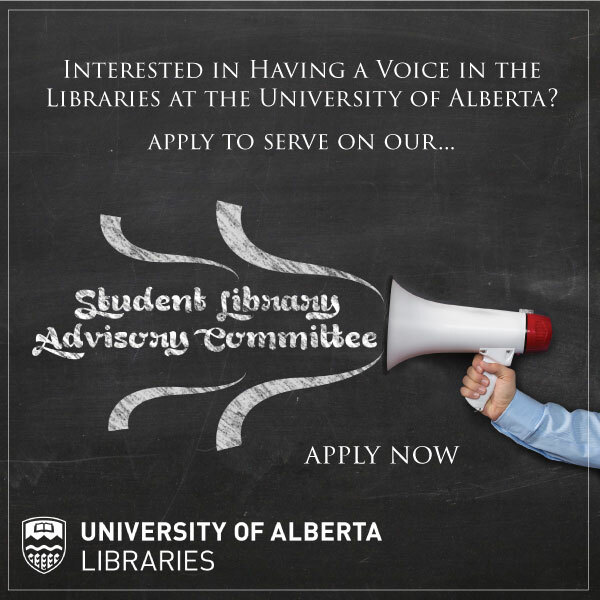 U of A Libraries is recruiting new members for this year's Student Library Advisory Committee (SLAC). The committee meets once a month throughout the school year. All undergraduate, graduate, and international students at U of A are eligible to apply. SLAC members work with librarians to find new ways to improve library services, and help get the word out about library initiatives. Along the way, they get a behind-the-scenes look at one of Canada's largest academic libraries and meet other students from across campus. The deadline for applications is September 27th. Science Literacy Week 2018 - It’s gonna be a blast! From September 17 - 21, the libraries are celebrating Science Literacy Week across the University of Alberta campus. The University of Alberta Libraries has partnered with Science Literacy Week, Women in Scholarship, Engineering, Science and Technology (WISEST), Natural Sciences and Engineering Research Council of Canada (NSERC) and the Canadian Space Agency (CSA) to bring a week full of science and space to the UAlberta community. 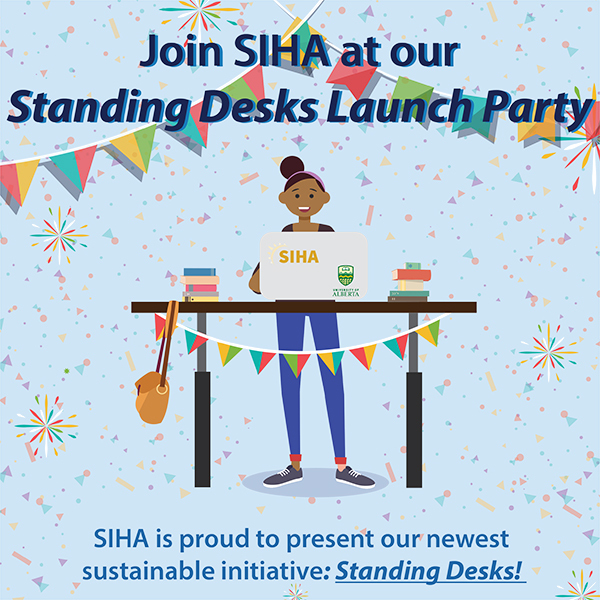 There will be interactive events and presentations throughout the week across campus and at five libraries; Bibliotheque Saint Jean, Cameron, HT Coutts, JW Scott and Rutherford. From molecular gastronomy to the science of constructing spacesuits we’ll have it all. Be sure to check this years website calendar as the events differ from day to day. Here’s a sneak peak at some of this years events! Build your own rocket that can be launched into the sky! 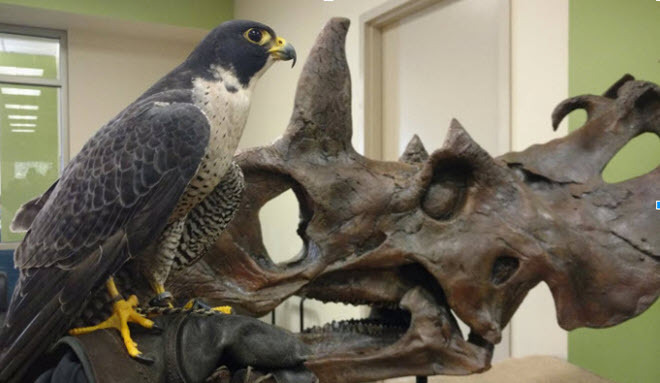 Sample of some cutting edge food research he has been doing at Northern Alberta Institute of Technology in partnership with CP2 at the University of Alberta. Come discover how textiles are part of every aspect of our life, even outer space. In case you forgot here’s a short look back at Science Literacy Week 2016 & 2017. Follow this year’s Science Literacy Week story @uofalibraries #SciLit #SciLit18 #UAlberta. The next time you log into one of your eClass courses, have a look in the top right hand corner. 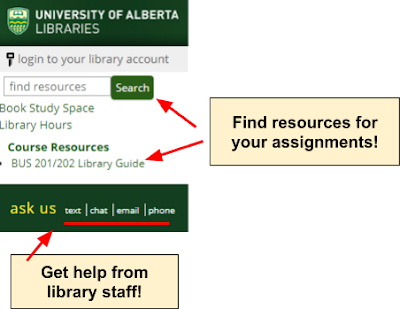 The UofA Libraries Resources Block is your research “to go” window in eClass. 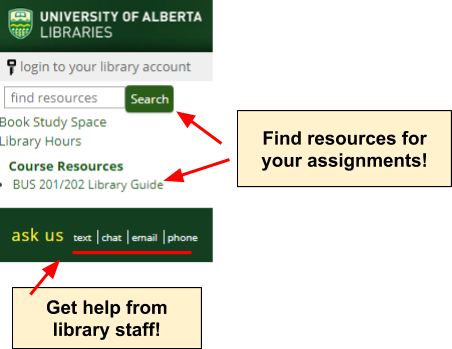 Use the block to find resources for your assignment, log in to your account, book a group study room or to get help from library staff. Check it out and feel free to give us your feedback!